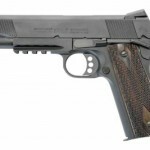 There seem to be a fair few new pistols hitting the market in the last few years. Not many have made much of an impact, but it’s good to see that the industry is alive and well. 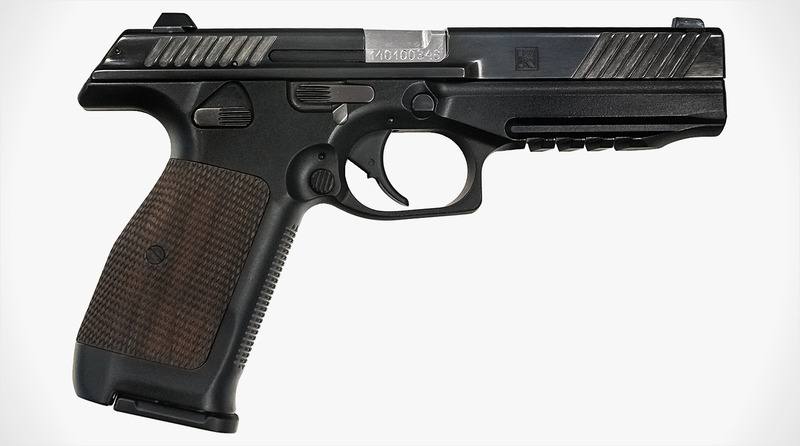 Concern Kalashnikov unveiled its new PL-14 self-loading pistol, chambered for the internationally available 9×19 mm cartridge, at the International Military-Technical Forum ‘ARMY-2015’ held in Kubinka (Moscow Region) from 16-19 June. The pistol is named Lebedev after its designer, as is common Russian practice. 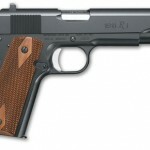 Its distinguishing features are said to be its enhanced ergonomics and balance, which meet modern requirements of human biomechanics and current pistol shooting techniques. Special attention was also paid to the unique aesthetics of the new pistol. Concern Kalashnikov CEO Alexey Krivoruchko said in a 17 June press release that the versatility of the new pistol enables it to be used not only as a military and law-enforcement weapon but also for competitive shooting. “We intend to produce different variants of the pistol, for example with certain characteristics of the trigger mechanism making it suitable for special forces use, as well as a civilian version with a trigger that would be suitable for practical shooting competitions as well,” Krivoruchko said. At only 28 mm across the pistol-grip at its widest point and only 21 mm in width across the slide, the pistol is slim compared to its counterparts. All controls are ambidextrous. 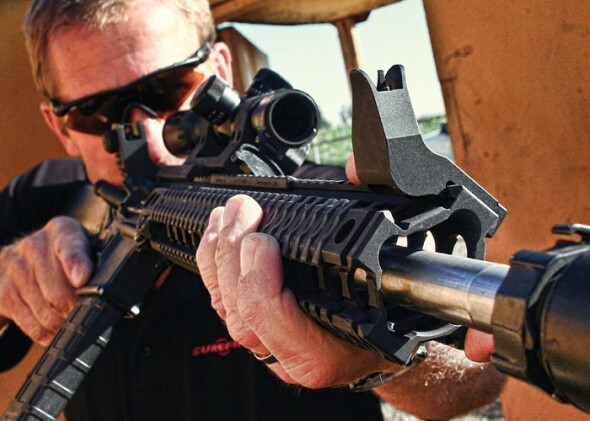 The steel slide has deep grasping-grooves front and rear, and the lower front section of the polymer frame has a length of MIL-STD-1913 Picatinny-type rail for fitting tactical aiming or lighting devices. Particular attention was paid to safety when designing the pistol, to ensure that there will be no mechanical discharge (drop-test) even when falling from a great height onto a hard surface. 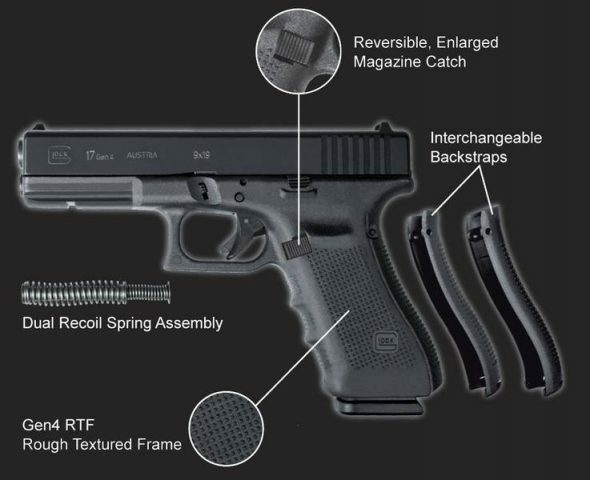 The basic version has a longer, heavier trigger pull to prevent inadvertent discharge if the firer keeps his finger on the trigger; other more skilled users can have a lighter trigger-pull option. Safety features also include a loaded chamber indicator (LCI) in the breech area that provides both a visual and tactile indication that the weapon is loaded. The LCI has an additional function which “coupled with a modified geometry of the chamber, allows shooting with defective ammunition when brass size does not meet the specifications”, Krivoruchko said. Basic technical details of the PL-14 pistol are: overall length 220 mm, height 136 mm, width 28 mm, with a barrel length of 127 mm. 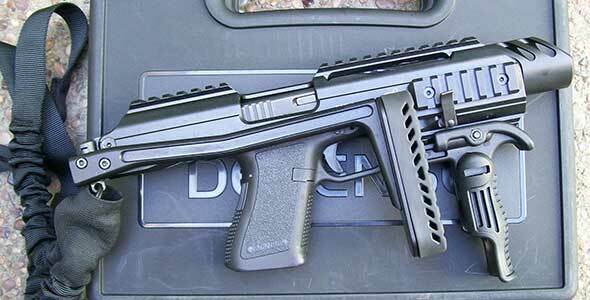 Magazine capacity is 15 rounds and weight loaded is 990 g.